Spider-Man: Homecoming did really well when it hit theaters over the summer, but for many people around the world, the theatrical release was weeks ago, and seems like a distant memory. In fact, we've already moved on to getting excited about upcoming comic book properties like Thor: Ragnarok and Justice League. 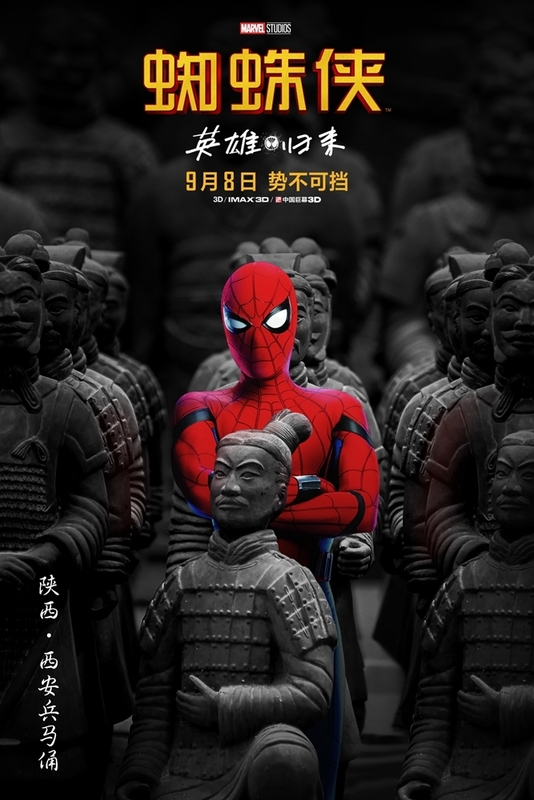 However, in China, the movie doesn't hit theaters until September 8, and now some interesting, adorable and otherwise hilarious posters have been released to the world. If you'd like to check out the cuddliest of those posters, we suggest the pandas, below. The fun doesn't end at pandas, however. 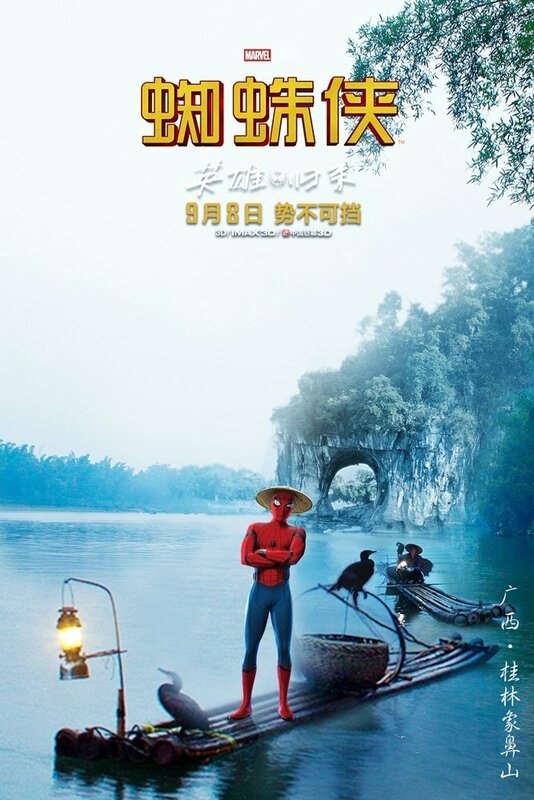 Born in China might be showing us the beauty and majesty of the Chinese landscape on Blu-ray this week, but if you'd rather see a take on the landscape that includes Spidey on a horse. Yes, the urban dweller is trying his hand at the equestrian arts. 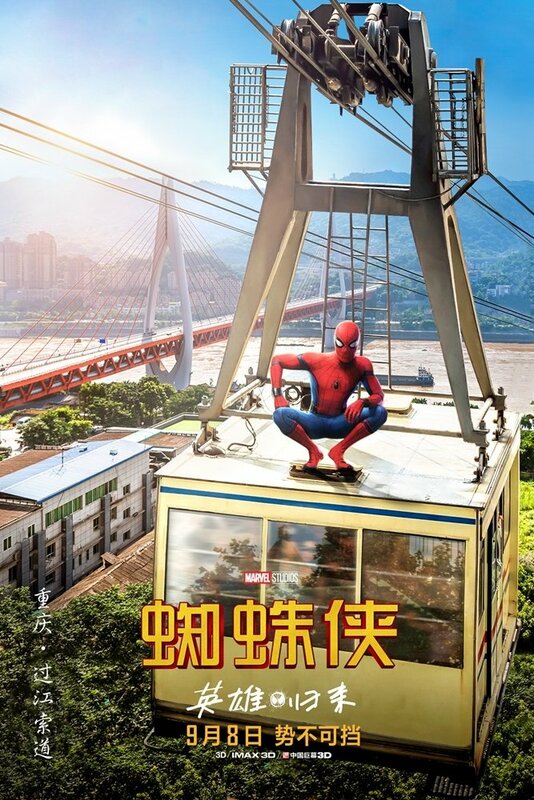 We've gotten a lot of cheeky Spider-Man posters so far, but these are among the cheekiest, and the funniest, considering that Sony and Marvel's Homecoming movie does not spend any actual time in China and is supposed to be set in New York. The posters were first unveiled over at Reddit. We reached out to Sony to ask how official these posters are, and the studio has confirmed that all of the images are fan-made, but have caught on like wildfire. They are certainly worth a look, as they are all totally in keeping with young Peter Parker's goofy, charming and somewhat sophomoric (but loveable) personality. 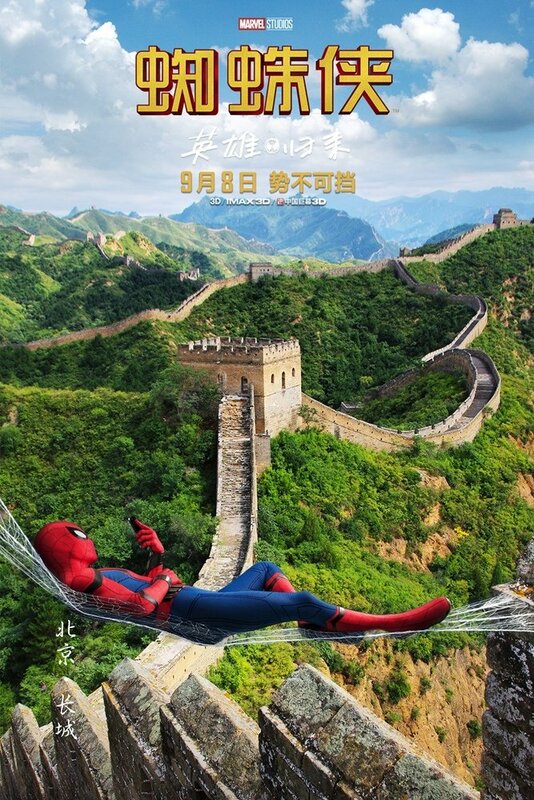 In the other posters, which we've accumulated in the gallery, below, you can check out Peter Parker in a variety of Chinese landscapes and at plenty of iconic locations. There are cranes, marvels of modern architecture, cranes and more involved in the rest of the images. 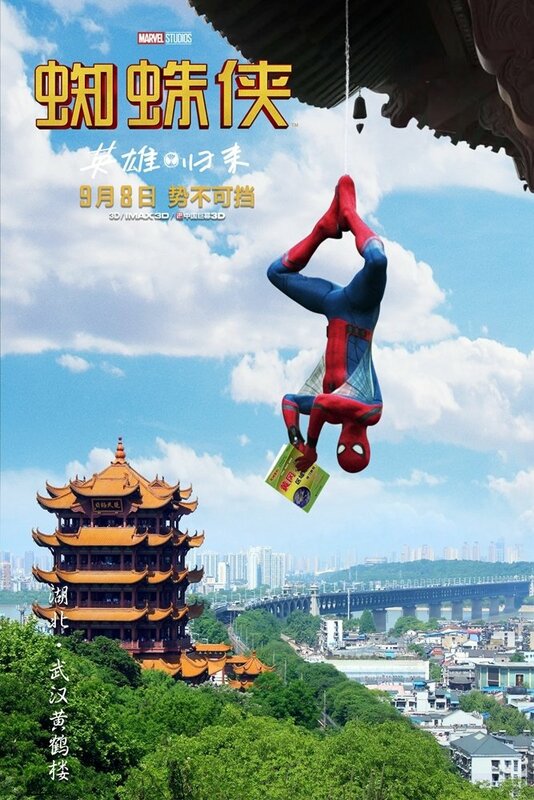 Needless to say, China is in for a treat with Spider-Man: Homecoming, and we hope the country likes the movie as much as we like these posters. 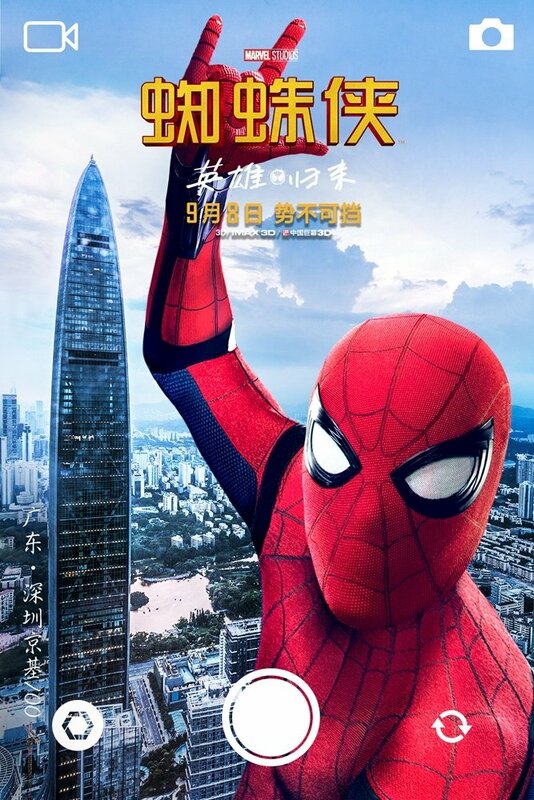 Although, Spider-Man: Homecoming does not take place in China, Marvel has been noted for making changes to its movies to fit certain cultures and social demographics. 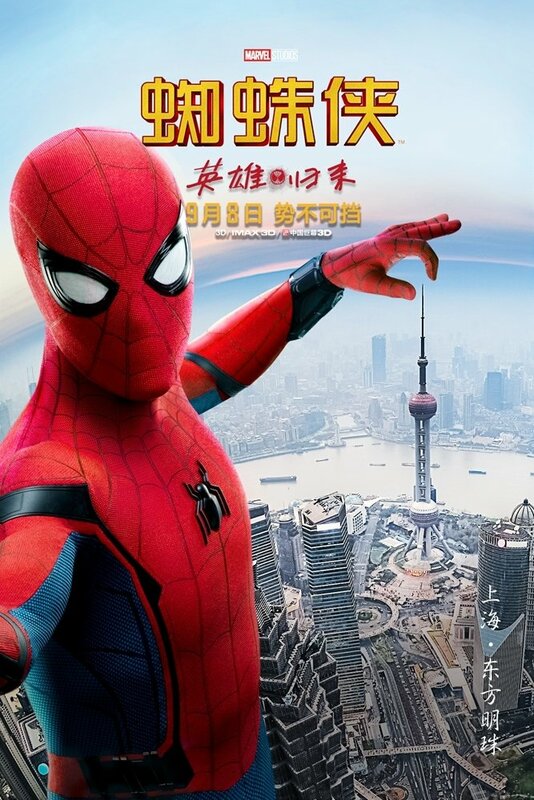 The Chinese version of Iron Man 3, for example, features some background footage with Tony Stark at Chinese landmarks and more. Posters like these provide another example of changes, although Peter Parker's humor is certainly very similar here. You can check out more images, below. And be sure to catch Spider-Man: Homecoming when it hits Blu-ray and Digital in the coming months. For now, you can take a look at what is headed into homes in September.